Three, a magical odd number. The three primary colors, The Holy Trinity, The Three Graces, Heaven, Hell and Limbo, The Three Stooges...can you think of any other?. 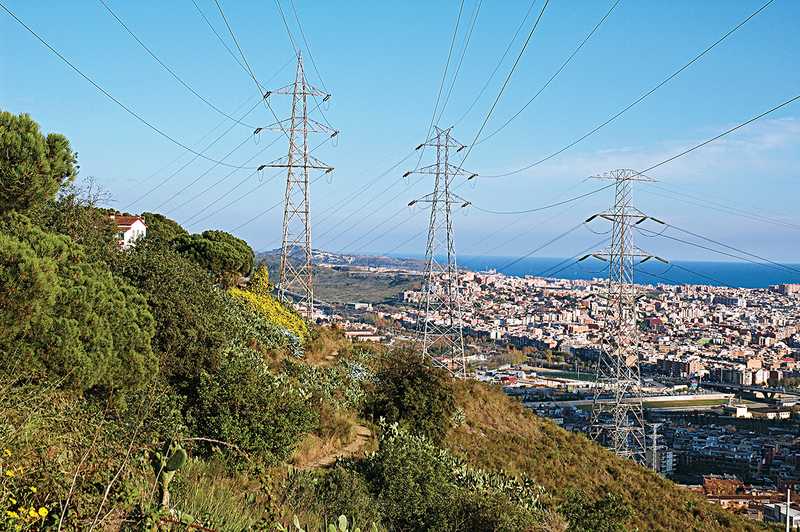 Here is another rather ackward example, three power towers invading, polluting, contaminating the view over beautiful Barcelona. Why make it three and not two? Why not make it null, void, zero instead?. Beautiful Barcelona indeed. The power towers are a bummer, especially for the people who live in the house to the left. here is one: wolf and three piglets! -Oh that's right Jazzy, I didn't think of tales.